"2 units of sugar maximum per purchase"
"...Argentines are falling back on tried and true survival skills to cope with the turmoil." "Argentines jockey to cope with economic turmoil"
Sorry to hear about what's going on back in Argentina these days. BUENOS AIRES, Argentina (AP) — Consumer prices are soaring, the treasury is running low on foreign currency and the peso has had its sharpest slide in 12 years. Instead of rioting, though, Argentines are falling back on tried and true survival skills to cope with the turmoil. Inflation is at about 30 percent and there's been a 15 percent drop in the peso's value against the U.S. dollar over a few days. But Argentina has gone through five much more dire economic times since the 1930s. So some Argentines are hoarding dollars, while others stockpile goods or plow their savings into real estate. More people ride bikes now following recent increases in public transportation fares. They eat less at restaurants and cook at home. They buy cheap, pirated DVD copies of the latest films rather than go to the cinema. Sofia Basualdo, a 43-year-old geography teacher, responded to growing inflation with a shopping spree to beat further price rises. 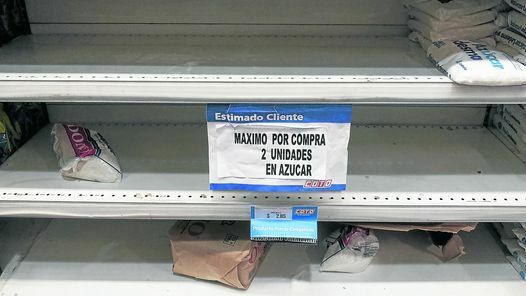 "I might pay one peso for a product today, but next week I'll likely have to pay two pesos," Basualdo said as she left a Buenos Aires supermarket pushing a shopping cart filled to the brim. "In this country, when you start smelling inflation it's best to buy and save." Many Argentines note that the current economic woes are not as bad as Argentina's financial collapse in 2001-2002. Unemployment remains relatively low, and many people benefit from government handouts. Yet they worry the country may be at a tipping point. "People are adopting defensive measures to survive," said Jorge Raventos, a political analyst and former spokesman for Argentina's foreign relations ministry. "People endure this by zig-zagging along, but it's hard to know how much they can take before they explode." Although it is exceedingly difficult because of strict regulations, some people and businesses have succeeded in past years in sending their dollars out of Argentina as a hedge against inflation. Then Deputy Economy Minister Axel Kiciloff last year estimated Argentine individuals and companies had socked away up to $200 billion in undeclared currency outside the country. But like most people, Carlos Partcha, an 80-year-old retired journalist, has taken the simpler measure of buying U.S. dollars and stashing them under his mattress — as he has done for more than a decade. "We don't trust anything anymore. Not even the banking institutions," Partcha said. "I had saved in dollars, and when the banks froze deposits in 2001, I got pesos back and lost my money." Ferfal, I received your book and it has helped me learn a great deal on urban survival. The thing that keeps bothering are knowing the skills for an economic collapse, especially since I live in the US. I been read your posts, and from them, I keep hearing that you won't be needing wilderness survival skills. What would you say, what skills would be necessary in a city? I know awareness and self-defense is necessary; I got a bit of awareness in me because I got robbed when I was coming back from school. Since then, I've been looking over shoulder and carry a knife with me wherever I go. 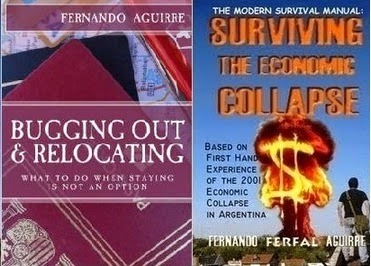 I did cover some of these in my book, "The Modern Survival Manual: Surviving the Economic Collapse". As you notice, buidling a shelter in the jungle and making a cooking container with a length of bamboo are great skills but they tend to be less useful in an urban, modern world society where there are other challenges which arent precisley improvising cheap, widely available items. Regarding Urban survival skills, I believe they have to be actually useful. 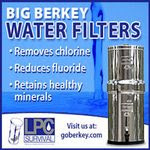 They have to improve your daily life, being needed on regular basis or at least in likely emergency scenarios. Second, they should interconnect with one another and have as much benefits as possible. Fitness and Nutrition: Staying healthy and fit has the obvious benefit of keeping you both aliv, healthy and capable of physical activity. Staying the obvious are we? Well, take a look around the fitness level during the next gun show or survival seminar. Fitness can be combined with some group sport (making friends, networking) ,some martial art (learning self-defense too, maybe meeting like-minded people) or outdoors activities like camping and backpacking. Business/Sales/Marketing: If you are able to make money, you’re ahead of the game of urban survival. Sure, it will do you no good if someone is trying to stab you to death one night when commuting back from work, but making money is not just obviously needed to make a living, it also allows you to position yourself better in life, live in better/safer places buy supplies, pay for classes and move around with more freedom if needed. When the economy goes to hell, someone that knows how to keep making money has an invaluable skillset. Good salesmen, guys that are good and keeping sales up are valuable to any company. Any skill or profession that is in demand and gets you a steady income, from welding(income+DIY combo skill points) to nurse school (income+medical combo skill points) , can be the most important skill you could possibly have. Finances & Budgeting: Everything from handling your income, savings, investments and expenses. Making the most of what you have is even more crucial when you have very little. Second Language: It quickly becomes added value to whatever profession you have and in many cases it places you ahead of those that lack it, sealing the deal for many employers. Knowing a second language that is popular in your country gives you an edge on the street too. Haggling & Negotiating: Haggling isn’t just about buying trinkets from a street vendor in Cairo. Haggling is the art of politely bringing the price up or down to your benefit. When buying furniture, appliances or cars on the second hand market, when talking about the price of a house or discussing a work contract or raise, the skill put to use is the same and the more you practice it the better you get at it. Being a good negotiator can save you hundreds of thousands in your lifetime. First aid: Know what to do if someone is choking or having a heart attack. Take a first aid class, check with the red cross website or nearby hospital to find one close to you. Once you have the basics you can add to that more advanced knowledge. There’s classes and information online on treating gun shot wounds, stab wounds and such. As a parent you soon have a good idea of the illnesses your kids are likely to catch and you prepare for them accordingly. Security & Self Defense: Armed o unarmed. Personal and home security. Security is about knowledge, habits and acquired skills. Regarding armed self-defense, don’t assume you already know how to use a handgun because your uncle’s neighbor that was in the Army taught you how to shoot a few soda cans one Sunday afternoon. Take an actual class from a good instructor. Try adding martial arts, some knowledge on how to use a stick and blade. Awareness: Awareness isn’t just about keeping an eye on those around you. Its about keeping a constant yellow level of alert. Listening (shouting? Quick footsteps towards you?) and smelling(gunpowder? Smoke? Teargas?) your surroundings. Get used to identifying a second exit in whatever room or structure you walk into. The first one if the one you gained access through. Understand the Grid: Have an understanding of your area, your city. Where does water come from? Where does it go? If it rains a lot, what parts get flooded and why? Is there an underground river somewhere? Know where the power terminals and transformers are in your neighborhood. Watch the city/power/sewer workers and try to understand what they are doing, maybe even stop by and say thanks for their hard work and ask about what they are working on. Know which are the main arteries in and out of your city and which alternative routes you could take. What are the bad parts of down to be avoided and where trouble usually brews during protests and civil unrest. You probably know where the police station is, but what about the patrol routes? Do you see a patrol car or officer on foot on certain streets, certain days at a certain time? What about sewers? Where do they start and end. Peek if you can when a worker goes down for repairs and try to learn in what direction it stretches. Manhole covers are usually a good indication of that. Backpacking: While backpacking isn’t in itself training for urban survival, it does go along well with fitness and an understanding of essential gear and techniques, things such as cooking with basics, staying warm and hydrated and map reading and navigation. Defensive Driving: It’s not just about avoiding carjacking and kidnappers (even if that can still happen to you) but it’s also about learning to use your vehicle during emergencies related to drunk drivers and road rage which are far too common. DIY: A basic understanding of how to fix and build things around the house can be very handy and it can save you a good amount of money as well. Its safe to say that 1/3 of the appliances I’ve managed to fix on my own had nothing more than a broken cable that needed replacing or some other simple obvious malfunction that was quickly noticeable after disassembling the appliance or machine. If I end up having to call an expert, I make sure to stick around and ask plenty of questions so as to know how to do it on my own next time. Electronics/HAM Radio: With basic understanding of electronics you can fix most gadgets. Radio communication skills can be important during large scale disasters. Ham radio is also a hobby that may allow you to meet like-minded people. Improvising and Coping: Improvising is closely linked to DIY, but it extends beyond that. Its about improvising in life in general. Knowing that if there’s no water you can flush a toilet with a bucket, that a few soda bottles full of ice and some plastic tarp can turn your freezer into an old school “ice box” during blackouts. Its about being “creative” with your cooking recipes if the budget doesn’t allow for much. I just got used to turning leftovers into something else for another meal, we still do that often. Stews are particularly good for that. Then there’s coping, which I believe a lot of people will have problems with. A couple days ago I was reading in a survival forum a post someone made asking how to deal with lack of supplies during an extended SHTF scenario. A lot of people had plenty of suggestions. No one suggested what truly ends up happening: You learn to do without. At the end of the day, most of the stuff people worry so much about is not essential. Food, water, shelter and clothing. Pretty much everything else a person can do without. If it comes down to that, those are the ones that keep you alive. Other than medicines when needed, everything else falls into the “nice to have” category in a pure survival situation. These are just a few, if you have other suggestions post them on the comments below! Thousands stranded in Atlanta. Highways that look like partaking lots, 900 car accidents and 2000 students stranded and forced to shelter in place. A lot of the South is clearly not ready for this kind of winter snow conditions, mostly those places where snow is rare. 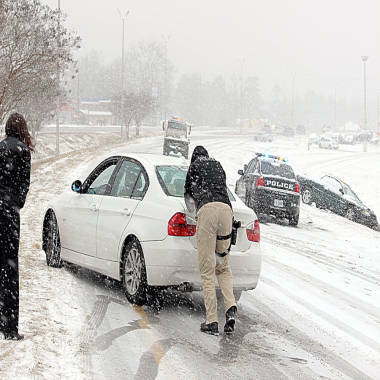 It’s a good idea to be prepared, even for those that usually don’t have to deal with snow. As I sit here writing this review the Sidewinder Compact II is in my pocket. It has been there for a few weeks now and it wont be going anywhere any time soon. Not until something truly better comes along and that will take a while. It is not just a matter of getting the latest, brightest LED. The Sidewinder Compact II is a game changing flashlight. The first thing to keep in mind is that this is a Streamlight. 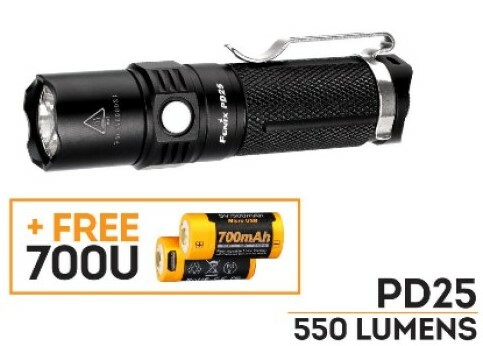 That means the quality testing and standards are beyond average flashlight brands. Streamlight spends hundreds of thousands of dollars in researching and proof testing their products. Most other companies, no matter how neat their designs may be or how bright their lights are, they don’t have those standards of quality. Talking about brightness, lumen intensity depends on the brand as well. A good example of this is that the 55 lumens of the Sidewinder Compact II are brighter than the 80 lumens of the Olight i3s EOS when put side by side. Olight and other brands that don’t go for military and industrial safety contracts can allow themselves to be more “creative” about the lumen intensity of their products. Not Streamlight. The same thing happens with Surefire, who’s 100 lumen lights tend to be brighter than some 200 lumen flashlights floating around. Then there’s the quality of construction. The Sidewinder Compact II is clearly a tough product. Made of nylon, it is both solid and light. Impact resistance to 3 meters and water resistant to 1 meter for 30 minutes. Intended to be used on the feel, everything about this light looks and feels rugged. The Sidewinder Compact II is without a doubt the most versatile light in the market as of right now. 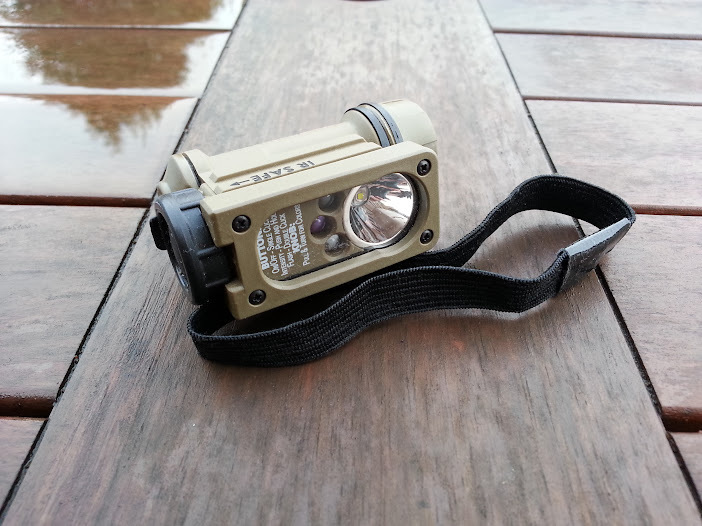 It is intended to be used as a helmet light (comes with the required helmet attachment) , but in can also be used as a headlamp using the head strap (also included). Thanks to its 90 degree angle configuration and rotating sturdy steel clip, it can attach to MOLLE vests, front shirt pockets or neck collars. Of course, it can be carried in your pocket as well. 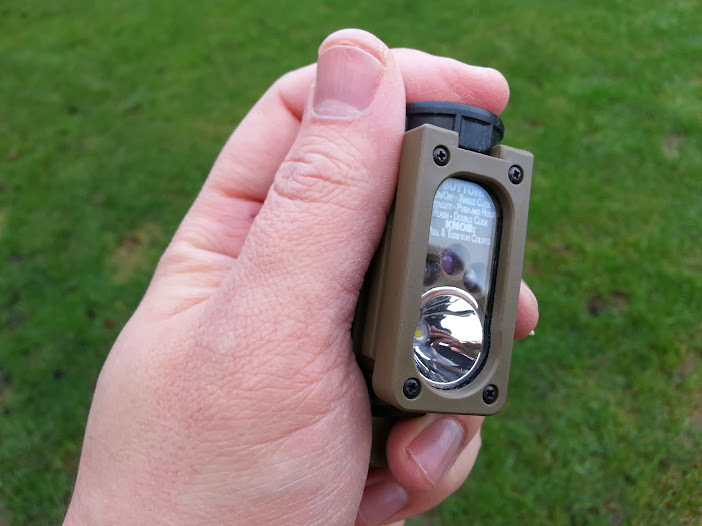 It may not be the most compact pocket EDC light but it well compensates for that by being so useful and adaptable. Using the Sidewinder Compct II is simple enough. Clicking the rubber dome button on top (silent, remember its military pedigree) turns the light on. Clicking it again turns it off. Double clicking engages the strobe mode and pushing and holding cycles through the four brightness intensities, Low-Medium 1-Medium 2 and High. High is 55 lumens although as explained its comparable to 80 lumens from other brands such as Olight and Fenix. The runtime for the High mode is 6 hours with one CR123A battery. The low mode, which is the first one, is a functional 5 lumens. Good enough for general use and it runs for over 70 hs. The Sidewinder Comapct II C4 LED has good coloration for a white light. Doesn’t seem to be too cold, no purple or green tint around the edges but a nice neutral white light that feels very natural. At very close range the light has an uneven hotspot with a dark spot in the center, but as you move a few inches away this isn’t noticeable. The light has nice throw and just enough spill for practical purposes thanks to its smooth reflector. Pulling up and rotating the knob allows you to rotate between the four different LEDs. 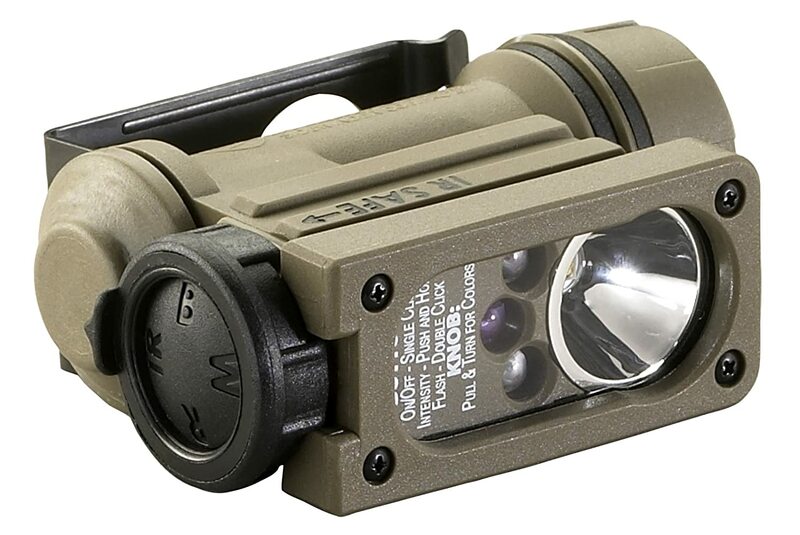 The Sidewinder Compact II has a C4 white LED, a red LED, a blue LED and an infrared LED for night vision devices. The strobe and intensity modes work the same way in all LEDs. The red and blue LEDs have a long runtime on low mode, with over 100 hours of runtime. 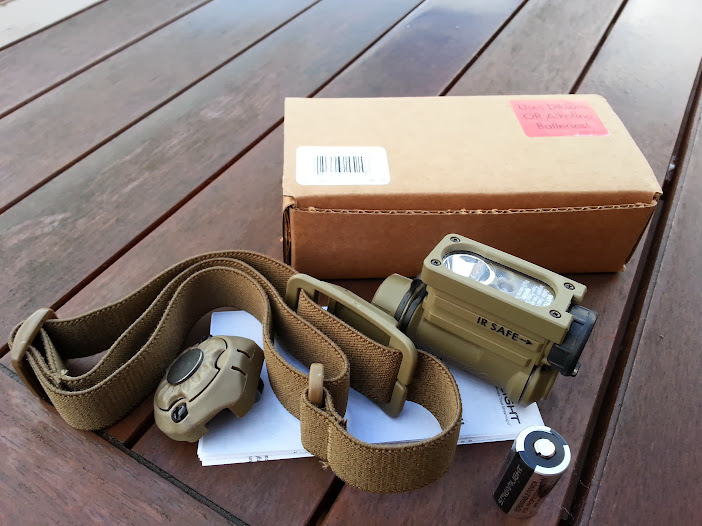 But the most fascinating thing about the Sidewinder Comapct two isn’t the choice of LEDs, even if it can be useful, such as using the LED red to keep your night vision or to keep a low profile or the military applications of the IR LED. 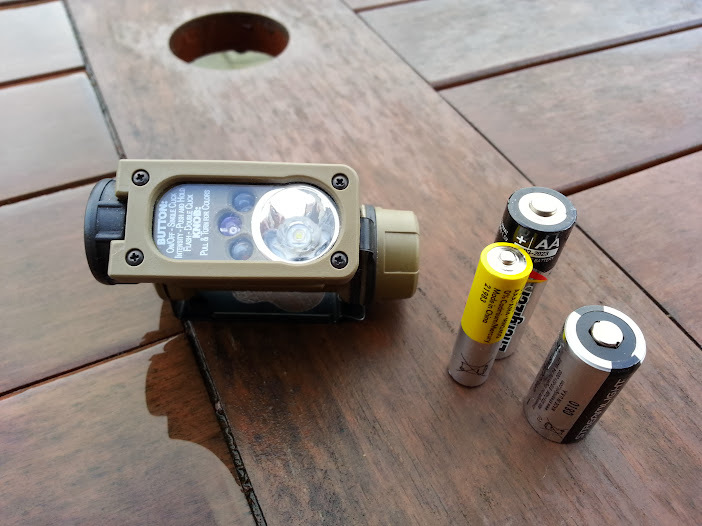 What make the Sidewinder Compact II a survivalist´s dream is that it works with a single CR123A or AA battery. The flashlight has a spring loaded insert on the inside which adjusts to either type of battery. Unofficially speaking, the Sidewinder Compact II also works with AAA as well. It says nothing about it in the manual but after trying it out and seeing if it would disengage by hitting it lightly it proved to work well enough. If a AAA with a bit of juice left is all you have, you could throw it in, set it on the red LED low mode and you would squeeze some light out of it. Such versatility is simply fantastic. Its been a few weeks now since I started carrying the Sidewinder Compact II as my every day pocket carry light. Because of its unusual shape, at first I would notice it in my jeans for a few steps, but thanks to its light weight you soon forget its there. In larger 5.11 pants you don’t ever notice it. I see how the Sidewinder Compact II will be with me for a long time.